I found it anoying to get the windhield set just right for conditions only to have it retract the first time I stopped for gas. 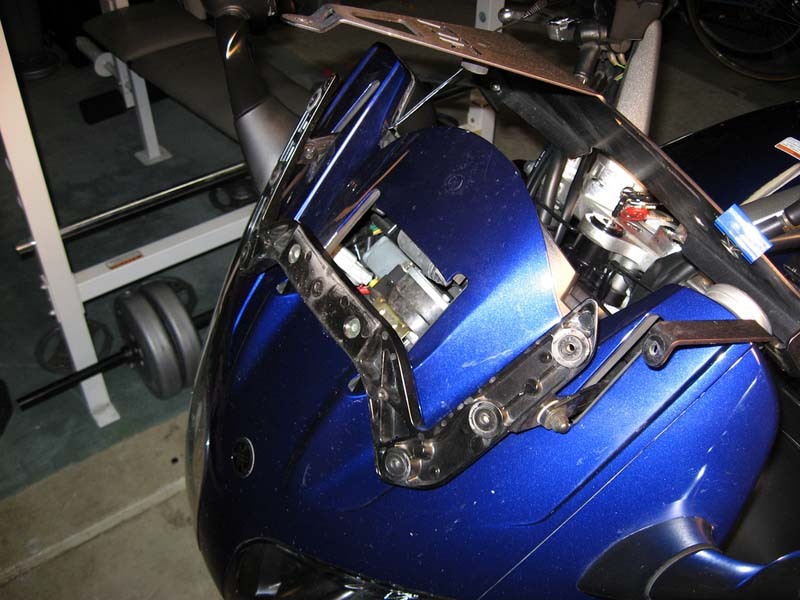 I Used the tips at FJR Info as the starting point for disabling the auto-retract feature. 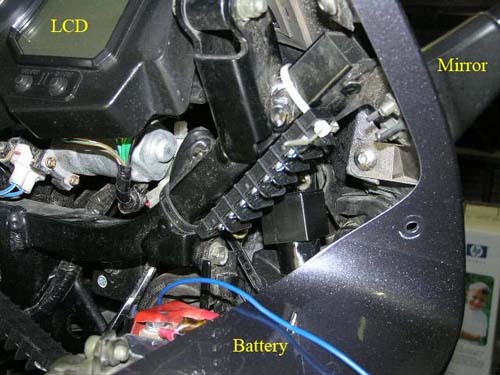 These three photos from Greg Marbach (ScooterG) are excellent at showing where the connector is located in the harness, relative to certain landmarks. When removed, the jumper looks like this. I used the jumper to fabricate a power connector that feeds the relay energizer circuit on my switched Power Distribution Block. 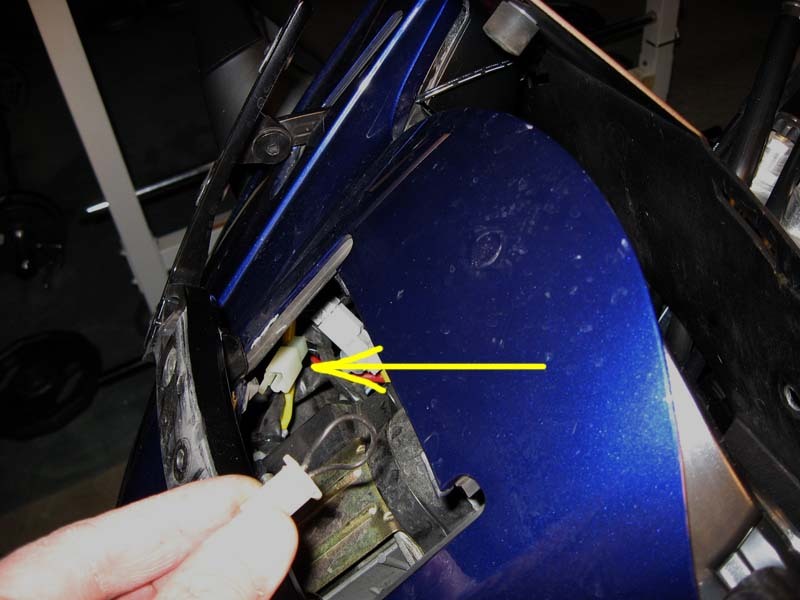 In some model years, the auto-retract jumper is hard to access from underneath the instrument cluster (panel C). 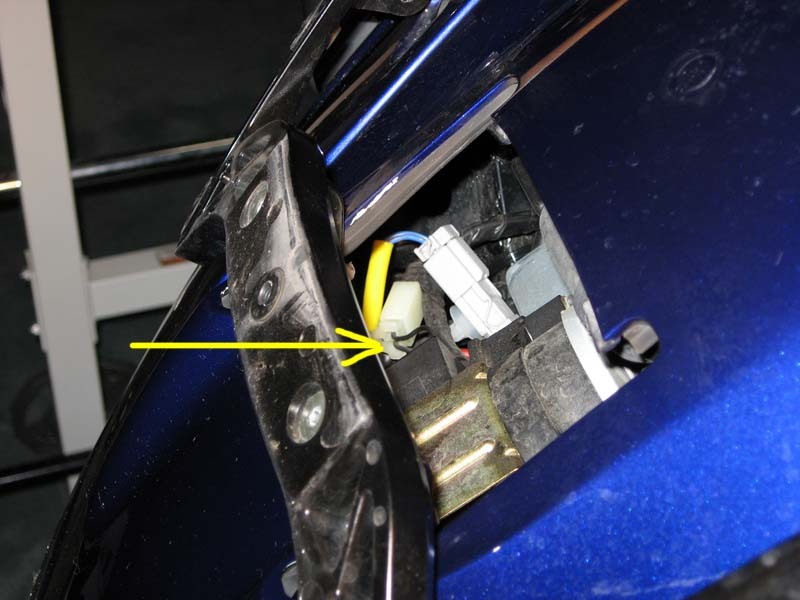 After confirming that the jumper isn't simply stuffed further into the wiring bundle shown above, you can try to access it through the panel on the nose of the front cowling (under the windshield). 1. Remove the windshield. From 2001 to 2005 your simply unscrew the windshield retaining screws. In 2006 and later, you have to loosen the set screws before removing the color-matched beauty plate. You can see the set screws if you kneel down and look at the leading edge of the beauty plate from underneath. 2. 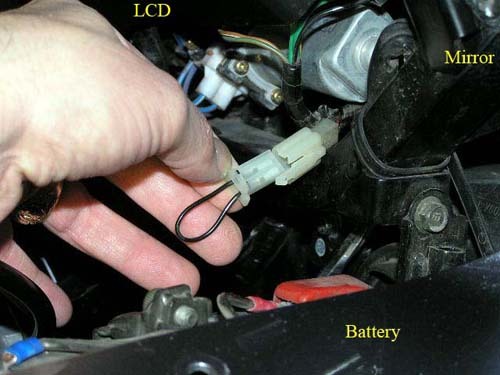 Remove the access pannel using the appropriate-sized allen wrench on the retaining bolt. 3. Locate the auto-retract jumper (shown). It's exactly the same as the one in previous model years. 4. 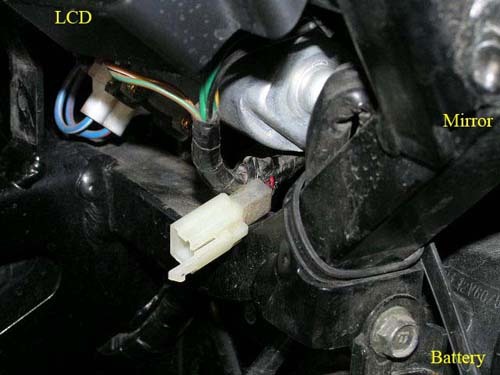 Remove jumper connector as in previous years (note the retaining clips on the side of the connector that remains with the bike). Jumper removed. 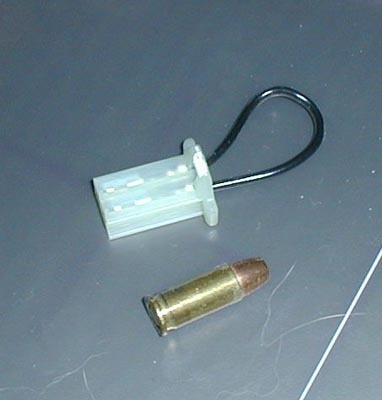 Retaining clip shown. All material on this site (c) 1995 - Present, Mark Johnson. All rights reserved.